Our blank white puzzles are specially made for sublimation printing (only). The tops of our puzzles are made with a bright white sublimatable paper coating. 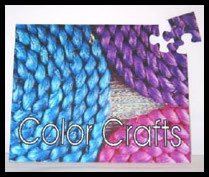 Please note: These puzzles are only to be used with sublimation printing. Puzzles are back in stock!